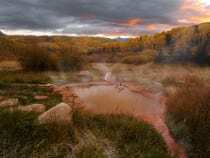 With all the recreation and excitement Colorado offers, it’s always rewarding to visit a natural hot springs. 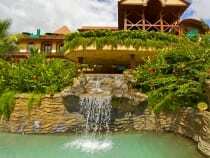 Both resorts and free primitive pools can be found. They are hidden across the Rockies in many mountain towns. Most are open to the public, although some are private and for guests only. 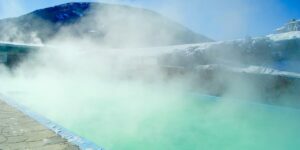 Read our hot springs blog. 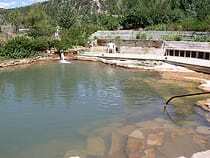 From developed, spa resorts to free, primitive, undeveloped pools, Colorado has a range of natural hot springs. You can find them on the southern Front Range or all throughout the mountains. 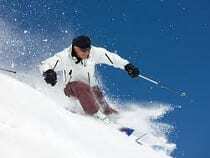 Mostly all resorts are open year round, and some of the primitive soaks as well. 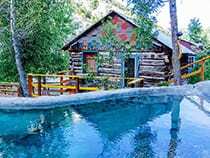 These hot springs all offer lodging and are open to overnight guests only. 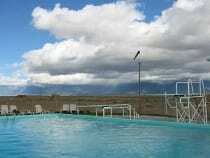 They don’t permit day visitors, except for Waunita Hot Springs, which does from October through May only. Reserve your private hot springs adventure today. 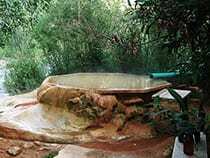 Many travelers have fondly recounted their tales of visiting local hot springs, but surprisingly few people who haven’t seen these natural wonders know what they are. Hot springs are many things to many different people. To spa enthusiasts, they are an area that has many different resorts, health clubs, and spas to choose from. 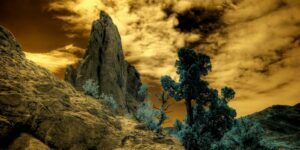 For nature lovers, they are a natural wonder of the world that is unique in its own way. For tourists, they represent a piece of American natural history that no Wild West trip can really be without. As you book your next trip to Colorado, you should consider taking a trip to the local hot springs, where nature and history come alive. 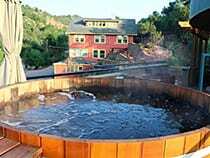 Hot springs are natural bodies of water heated by the volcanic activity of Colorado’s dormant volcanoes. 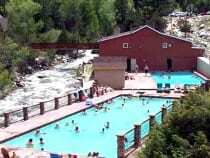 There are three major hot springs in Colorado – Glenwood Springs, Hot Sulphur Springs, and Great Pagosa Springs. Each of these was originally used by Native Americans for their rich mineral content , and their natural healing abilities. 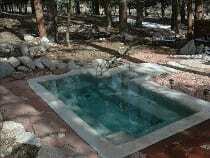 Hot Springs have long been used for their therapeutic benefits. The minerals in the water have numerous positive affects on your health. Some items to consider bringing include sunscreen , sunglasses, a towel, flip flops, water, bathing suit and a flashlight (if going at night). Lastly, we would like to suggest bringing a camera on your Colorado hot springs excursion. The majestic blue sky, the tall golden mountains, and the sheer natural elegance of Colorado has been a subject of many magazine covers. By the late 1880’s, all three of these locations were filled with settlers looking to make their lives richer. Some drilled for gold, and left once they realized the area was barred. Others, on the other hand, decided to stay. Once the healing abilities were noticed, these natural landmarks became home to some of the most upscale resorts in the nation. When you visit any of the major hot springs, you can learn about the early settlers who lived there, as well as the Native American cultures who revered the springs. Ghost towns are easy to spot in this area of the country, and they are also easy to learn about with guided tours. Hiking and biking are commonplace among people who simply need to experience nature up close. Since most springs reside in a major resort location, you can bet that there are plenty of health clubs and outdoor activities to choose from. Whether you want a deep tissue massage, a dip in the springs nearby, or a half hour of yoga, you will be able to book it here. 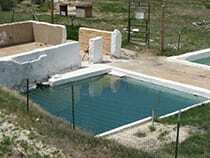 There are two main types of hot springs in Colorado, developed and undeveloped. The former varies between rustic and 5 star, and the latter is free, but often requires a trek to reach. 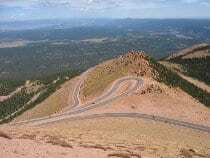 Denver’s closest mineral escape resides in Idaho Springs at Indian. This developed resort offers both a hot springs swimming pool and two historic caves, equipped with multiple hot springs-filled soaking tubs. 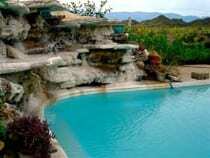 Additional family oriented, hot springs-filled swimming pools are located all over. 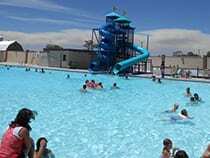 Outdoor seasonal choices include Trimble in Durango, whose Olympic size swimming pool is heated to ~81°F, as well as Eldorado Springs, famous for its namestake bottled water. 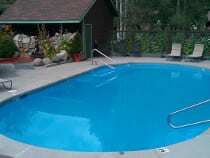 Old Town in Steamboat Springs offers both a year round 25-yard lap pool and a summer children’s pool. 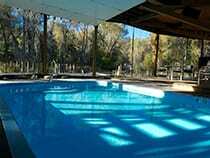 One of Colorado’s most popular, Mount Princeton, features two year round swimming pools, in addition to a summer upper pool, which has a LAZY RIVER and 400-foot water slide! 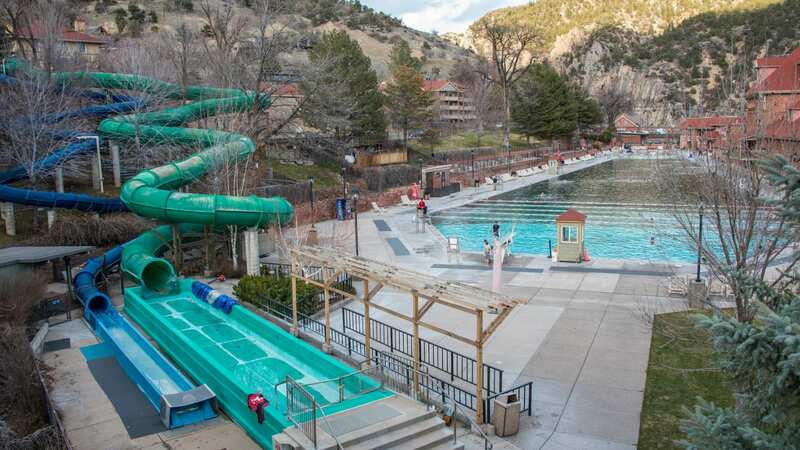 Year round swimming can be enjoyed at Ouray, Healing Waters, and Sand Dunes, as well as Glenwood Hot Springs, which allow kids to enjoy diving boards and slides right into a pool of over a million gallons of water. 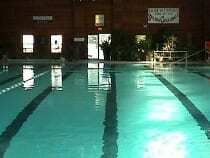 Salida boasts the largest indoor hot springs swimming pool in the state. Parents often can take advantage of the amenities with like a lap pool or even a facial while the kids play. 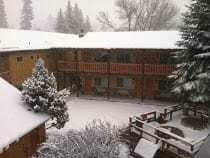 For those who want a more pampered experience, Colorado offers some luxurious hot springs such as Dunton or The Springs Resort. Both come equipped with overnight accommodations including cabins or hotel rooms, spas, and even champagne and chocolate packages. 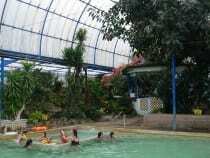 A number of resorts offer massage and body treatments including Hot Sulphur Springs. 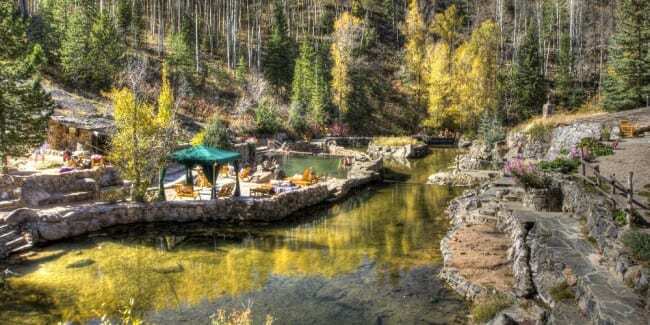 After soaking in these mineral rich waters, you’ll feel rejuvenated and ready to take on another Colorado adventure. You’ll also feel noodle-legged and all set to take a nap. A number of the above springs provide lodging. Steamboat’s Strawberry Park is a crowd favorite and even rents out a covered wagon or train caboose to sleep in. Several have tent sites, including Cottonwood and Orvis. 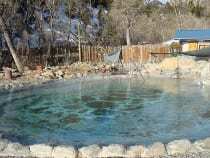 So not all hot springs in Colorado require a fee. Some of these primitive hot springs are located roadside, others require a hike ranging from 1/8 mile to 6 miles. 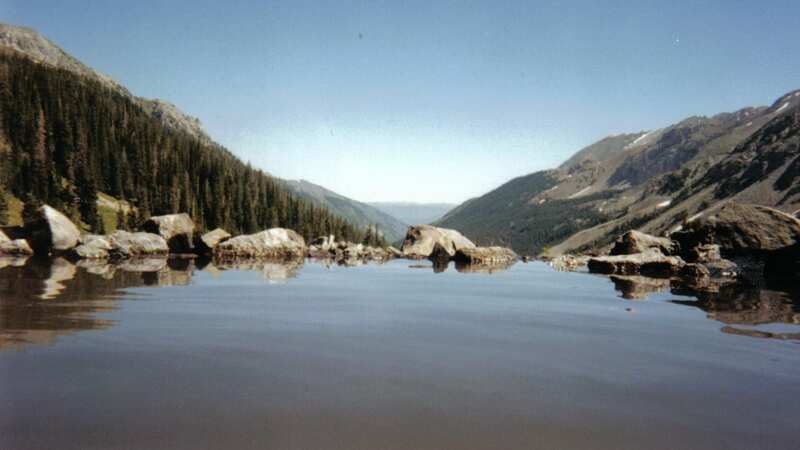 Colorado also boasts some of the most scenic hot springs if you’re okay with a short hike. 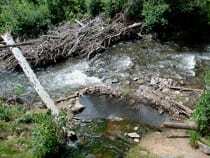 Places like Conundrum, Piedra River and Rainbow offer the full mountainside experience with forest surrounding pools that put you at one with nature. Situated southwest of Kremmling, Radium is one of the more frequented hike-to springs, since the hike isn’t too arduous. 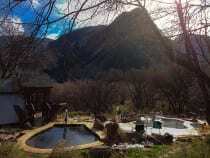 If you’d rather not hike very far, you can visit the primitive Penny or South Canyon hot springs. Both are only a short jaunt from your roadside parking spot. 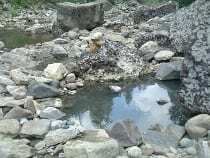 There are many additional undeveloped hot springs, most of which are on private land and therefore inaccessible. 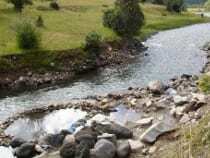 Some are riverside and reachable by boat. Rafting expeditions often will visit one if there’s opportunity to. 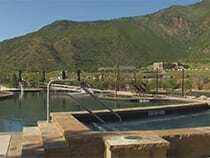 Whitewater Rafting LLC out of Glenwood Springs includes a stop at a remote hot springs on the Colorado River. 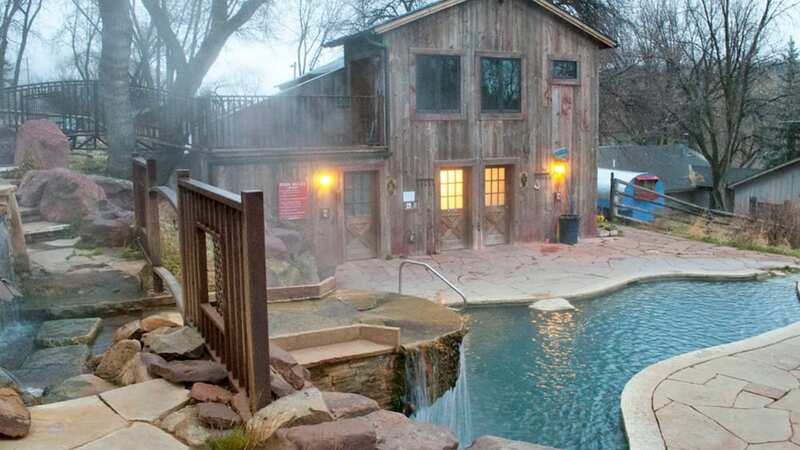 Mineral hot springs are often made more enjoyable for some by going au naturel. Several hot springs permit this and allow nudist either after dark, on certain days, or full time. Situated fifteen minutes from downtown Steamboat, Strawberry Park allows guests to go naked after the sun sets. It’s adults, over 18 only, after dark. 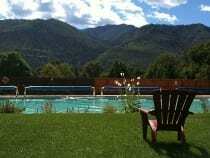 Both Valley View and Orvis hot springs are clothing optional all the time. 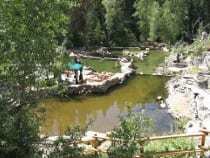 These two are some of Coloradoans favorite hot springs for their relaxed nature and plethora of soaking pools to choose from. Tucked away in Colorado’s Sun Belt, Desert Reef is a nudist friendly springs, however, only females and couples are admitted, no single males. Another Cañon City neighbor, Dakota, is clothing optional, except on Tuesdays when bathing suits are required. Most of the undeveloped hot springs support a do-your-own-thing policy in terms of donning swimwear. Roadside Penny Hot Springs is an exception with clothing officially required. South Canyon on the other hand seems to be a whatever you choose type of place. 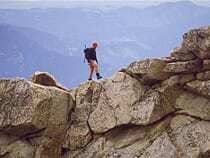 Deep and high into the woods between Aspen and Crested Butte lies Conundrum, where trekkers often go sans suit. Rainbow is another long hike to a clothing optional springs in the forest. 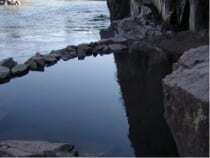 Although a much shorter hike, Piedra River is also clothing optional. Take all this with caution because the rules aren’t posted at places like these. Whichever Colorado hot springs you decide to visit, make sure you relax and soak up your surroundings. Every location comes with lodging nearby and local activities to keep you entertained while you’re there. In the end, it comes down to which hot springs and what part of the state you prefer. Frozen ponds and lakes make great ice rinks. Work out on the mountain before the hot springs. Relax and have fun on a tubing hill.